L.A. Clippers coach Doc Rivers doesn’t rip his team that often. But he let his players, as well as himself, have it after the Clippers were defeated 113-102 by the Memphis Grizzlies on Saturday evening at Memphis. “… I’m just disappointed that we got out-competed tonight, and it was clear,” said Rivers, whose team is now 1-2 on this road trip and will play Sunday at New Orleans. “I actually thought it started in practice yesterday. It was a waste-of-time practice, it was a waste-of-time game for us today and it was a waste-of-time shootaround. So much for the Clippers facing two former players Saturday when they play at Memphis at 5 p.m. (on Prime Ticket). 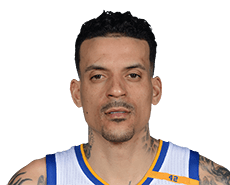 Grizzlies forward Matt Barnes on Saturday was suspended one game without pay by the NBA for trying to enter the locker room of the Milwaukee Bucks to confront John Henson after the two were ejected on Thursday in Milwaukee. Henson blocked a shot by Barnes with 5.5 seconds to play in the Bucks’ 96-86 victory. Henson taunted Barnes, was assessed two technical fouls and ejected. Barnes was then ejected for “continued use of obscenities,” according to a statement by the NBA. Barnes will serve his suspension Saturday. Another former Clipper, Lance Stephenson, will play against the Clippers. Jeff Green has averaged 10.3 points for the Clippers (43-24) since coming to them in a February trade with the Memphis Grizzlies for Lance Stephenson and a future draft pick. At times, Green has been terrific. Other times, not so much. The first two games of this current five-game road trip are an example of what Green’s been doing since his arrival. He had 15 points and made 3 of 7 from 3-point range in Tuesday’s 108-87 loss at San Antonio. A day later, he did not score – missing all four shot attempts – in the Clippers’ 122-106 victory at Houston. Then there are the two games before that. Green scored just seven points on 2 of 10 shooting in a 114-90 loss to Cleveland at Staples Center this past Sunday. Two days earlier, he had 17 points on 6 of 11 shooting in a 101-94 victory over the New York Knicks. Coach Doc Rivers on Friday said he’d like to see more consistency from Green. Familiar faces will be the order of the day when the L.A. Clippers visit the Memphis Grizzlies on Saturday for a 5 p.m. game (on Prime Ticket). The Grizzlies now have former Clippers Matt Barnes and Lance Stephenson, the Clippers now have Jeff Green, for whom Stephenson was traded in February. Barnes and Stephenson have been playing well for the Grizzlies (39-30), and Clippers coach Doc Rivers has noticed. “You just don’t want them to do well against you,” he said. Rivers knows that’s what Barnes and Stephenson must have in mind, though, and Rivers suggested that’s just human nature. Barnes is averaging 16 points, 8.2 rebounds and 3.8 assists over the past five games. Stephenson has averaged 23.5 points, 8.3 rebounds and 5.8 assists over his past four games. As for Green, he has averaged 10.3 points in 13 games since coming to the Clippers. His high game was 23 points in a 120-108 loss March 9 at Oklahoma City. Green, who played parts of the past two seasons with Memphis, said he’s not entering this game like he has to show something to the team that traded him away. 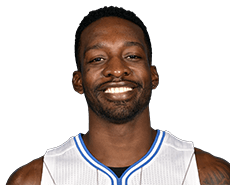 Forward Jeff Green will get his first taste of Clippers-Oklahoma City Thunder on Wednesday night at Staples Center after coming to the Clippers from Memphis at the trade deadline for Lance Stephenson and a future draft pick. Green can’t wait for tip-off, which will be 7:30 p.m. (on ESPN). The teams played Dec. 21 at Staples Center, with the Thunder emerging with a 100-99 victory with the Clippers’ Blake Griffin in the lineup. Griffin hasn’t played since Dec. 25 because of a partially torn quad tendon and, more recently, a fractured right hand. The Clippers are 22-7 without Griffin. 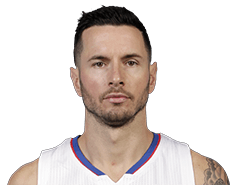 Clippers shooting guard J.J. Redick is a classy guy, so it was no surprise that he had sentimental feelings about the acquisition of forward Jeff Green from Memphis that sent Lance Stephenson packing there.